Fell runners have donated almost £1,000 to help repair and maintain the mountain footpaths of the Lake District. The Fell Runners Association has contributed £925 to Fix the Fells, a partnership between the National Trust, Lake District National Park, Natural England, Lake District Foundation and Friends of the Lake District that cares for the upland paths of Lakeland’s beautiful fells. The donation, which has been made through the National Trust’s event permission system, has been made by the Fell Runners Association to support the ongoing conservation work of the mountains they love to run in. 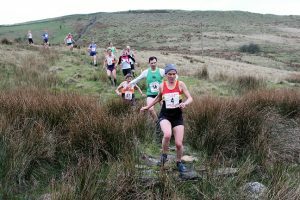 The Fells Runners Association organises a busy annual calendar of running events across Cumbria and further afield. Nicky Spinks, of the Fell Runners Association, said: “We are really pleased to be able to support the excellent conservation work of the National Trust through Fix the Fells. Fix the Fells will use the money towards the expenses of its teams of over 100 volunteers, known as “lengthsmen”, who work tirelessly to repair and maintain the Lake District’s fell paths all year. Joanne Backshall, programme manager of Fix the Fells, said: “We are very grateful to the Fell Runners Association for this generous donation.